Geoff Farmer has 31 years of experience in the floor screeding industry and has built a solid database of customers over those years in Pembrokeshire, Carmarthenshire, Ceredigion and Swansea areas, most of which are from recommendations and word of mouth. Geoff has worked with a wide range of clients ranging from individual home owners to National contractors. The team pride themselves in giving every project the same level of professionalism and continue to strive to deliver all projects on time and to the specific requirements of our clients. 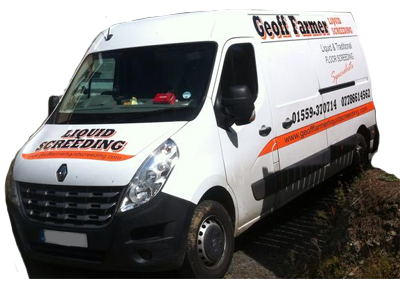 Geoff is a Liquid Screed and Traditional Sand and Cement Screeding Specialist that operate throughout Wales and the UK, and no job is too big or too small for us to undertake. Geoff Farmer is a "time served floor screeder" and is still laying floor screeds today, and has now been involved with laying liquid floor screed in wales for several years. 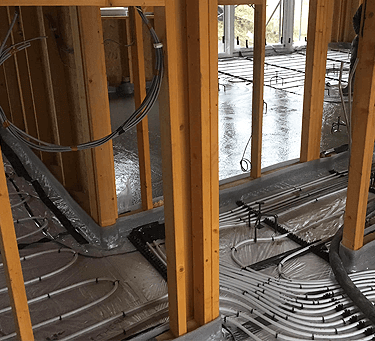 Geoff Farmer is fully equipped to handle the most demanding of liquid screeding / flo screeding projects and has a great deal of experience on site. The Team have gained the relevant health & safety qualifications to work on site and we have Public Liability insurance cover. 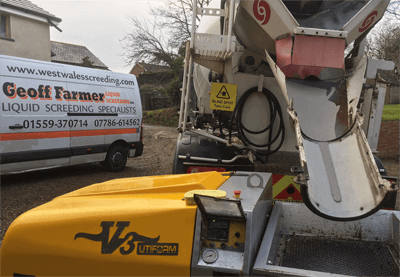 Geoff Farmer Liquid Screeding operates in the majority of the regions across the Wales including Cardiff, Bridgend, Port Talbot, Neath, Swansea, Brecon, Crosshands, Ammanford, Llandeilo, Llandovery, Llanelli, Builth Wells, Aberystwyth, Aberaeron, Cardigan, Lampeter, Tregaron, Llandysul, Newcastle Emlyn, Crymych, St Clears, Whitland, Haverfordwest, Narberth, Pembroke, Tenby, Saundersfoot, Neyland, Milford Haven, Carmarthen, Fishguard Etc, in fact all of areas of south, mid and west Wales..! 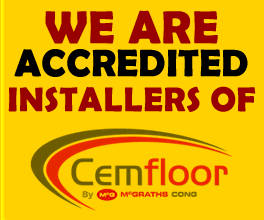 We are able to guarantee the high quality of our products and services by using recognised suppliers and recruiting teams of specialists in every county and region. 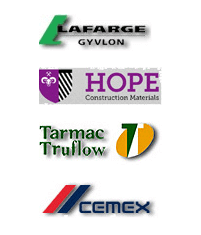 Our specialist liquid screeding team is ready to start work on your project, so why not give us a ring today.